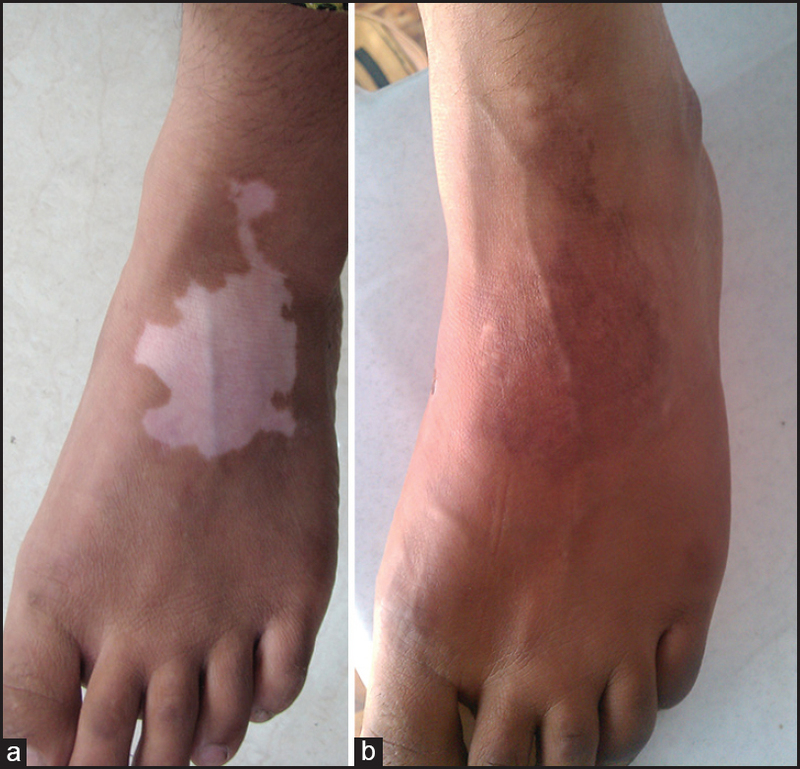 Background: Ensuring stability of the disease process is essential for undertaking surgical intervention in vitiligo. 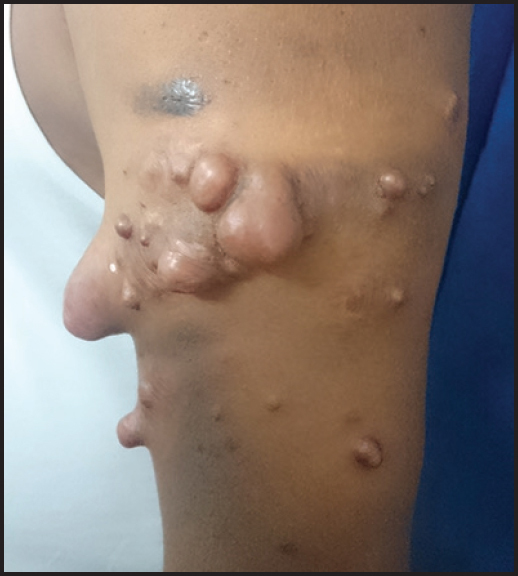 However, there is no consensus regarding the minimum duration of stability or the relative importance of disease and lesional stability in selecting patients for vitiligo grafting. 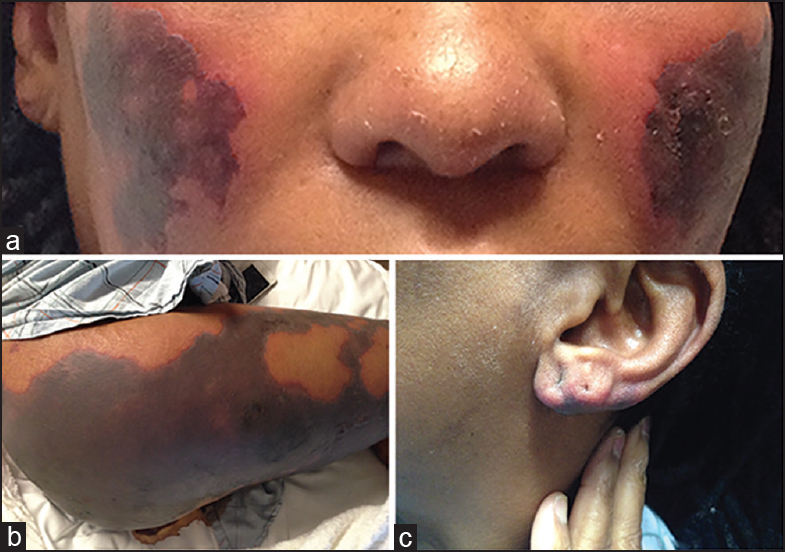 Aim: This multicentric study aims to assess the relative importance of lesional and disease stability on selecting patients for vitiligo grafting. 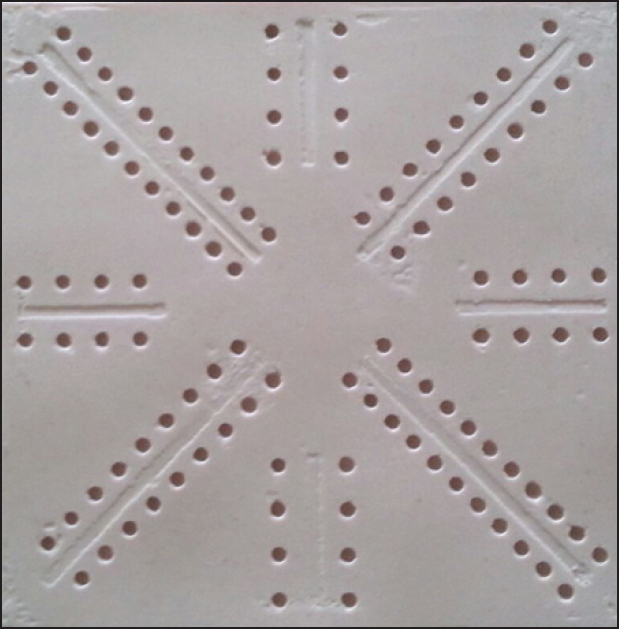 Materials and Methods: One hundred seventy patients were recruited into the study and divided into two groups: Group A with lesional stability of >1 year but overall disease stability of only 6-11 months and Group B with overall disease stability of >1 year. 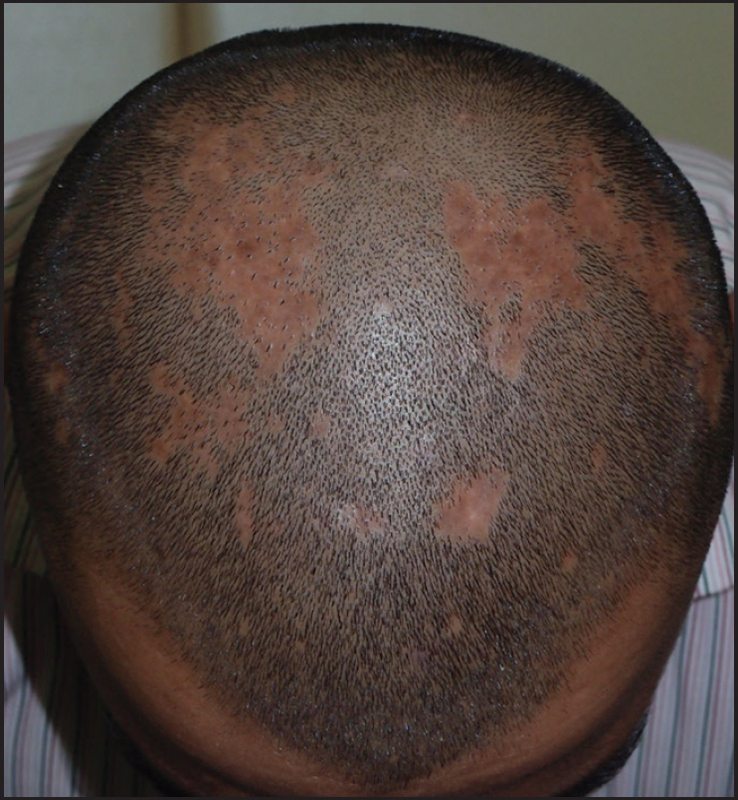 Patients underwent either tissue or cellular vitiligo grafting on the selected lesions and the repigmentation achieved was scored from 0 (no repigmentation) to 6 (100% repigmentation). Repigmentation achieved on different sites of the body was compared between the two groups. Adverse effects at both the donor and the recipient sites were also compared. Results: Of the 170 patients who were enrolled, 82 patients were placed in Group A and 88 patients in Group B. Average repigmentation achieved (on scale of 0 to 6) was 3.8 and 4.04 in Group A and Group B, respectively. In Group A, ≥90% repigmentation was achieved in 36.6% (30/82) patients, while 37.5% (33/88) achieved similar results in Group B. Additionally, 47.6% (39/82) and 53.4% (47/88) of cases achieved partial repigmentation in Group A and Group B, respectively. Perigraft halo was the commonest adverse effect observed in both groups. Statistical analysis revealed no significant differences between the two groups with respect to the repigmentation achieved or adverse effects observed. 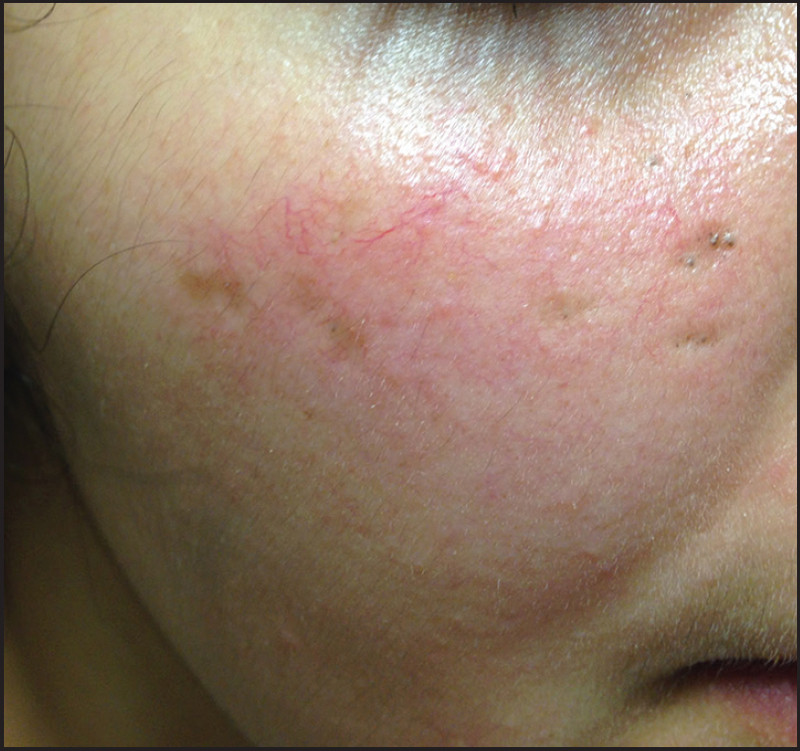 Repigmentation achieved was the best on the face and neck area, while acral areas responded the least. Conclusions: Lesional stability seems to be as relevant as the overall disease stability in selecting patients for surgical intervention in vitiligo. Context: Lips being one of the graceful cosmetic units of the face, any disfigurement, including depigmentation, can be embarrassing, psychologically distressing, and socially stigmatizing. Even with the evolution of various surgical modalities, none of the techniques ensure 100% pigmentation with a good cosmetic appearance. 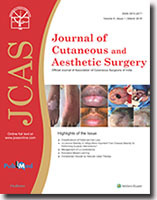 With this background, this study was undertaken to study the efficacy of the technique-primary excision and closure in treatment of lip leukoderma (LL). 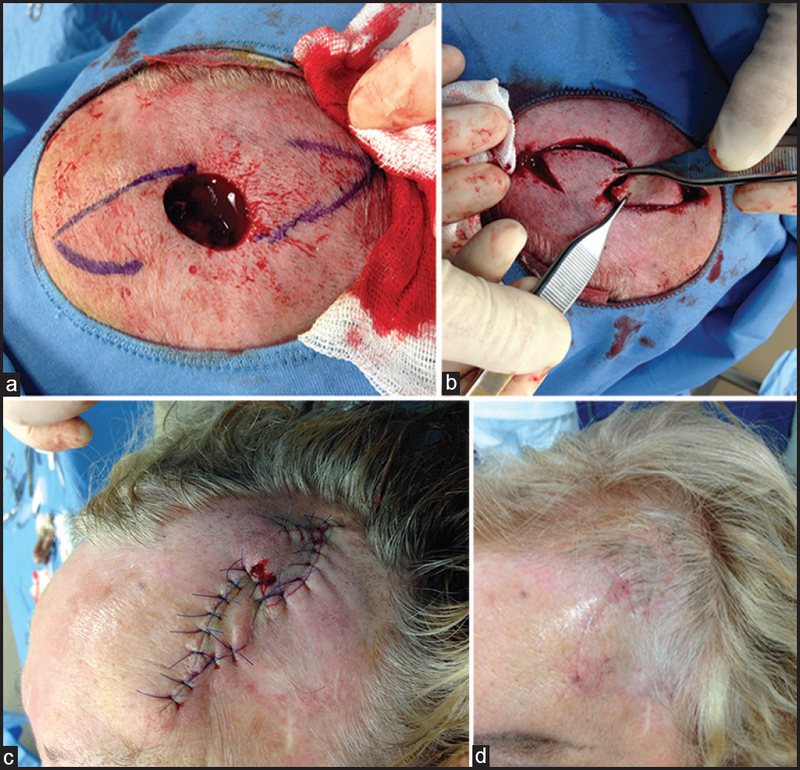 Aims: To study the efficacy, cosmetic outcome, and recurrence following primary excision and closure technique in the management of LL. Settings and Design: A prospective single-center open-label uncontrolled study. 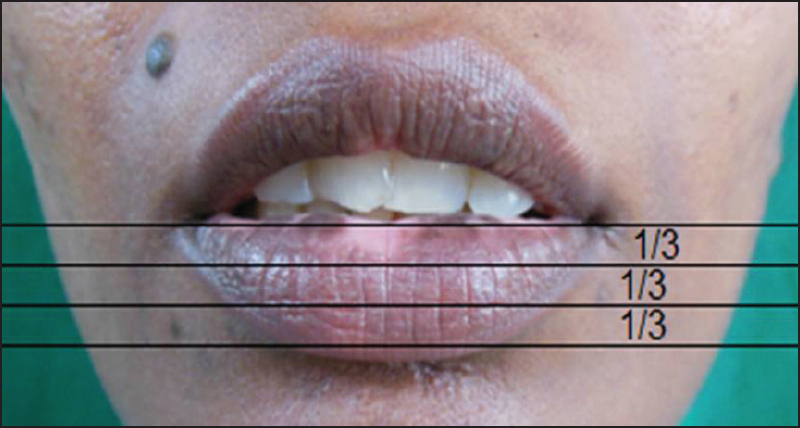 Materials and Methods: Thirty patients with LL involving inner margin of the lower lip and those who fulfilled inclusion and exclusion criteria were included in the study. After obtaining consent and physician fitness, patients were posted for primary excision and closure of the vitiliginous area of the lip. Patients were followed up at the immediate postoperative period and 6 months later. Patient satisfaction scale was done by asking the patient to grade the response between one and ten. Statistical Analysis Used: Mean and percentiles. Results: Out of 30 patients, 29 patients achieved complete clearance that was cosmetically acceptable. Only one patient showed recurrence at the end of 6 months. Average patient satisfaction scale showed an average of 9.66. Conclusions: Primary excision and closure technique is one of the safe, inexpensive modality in the management of LL involving the inner margin of the lip with immediate result. Iontophoresis is defined as passing of an ionized substance through intact skin by application of direct electric current. 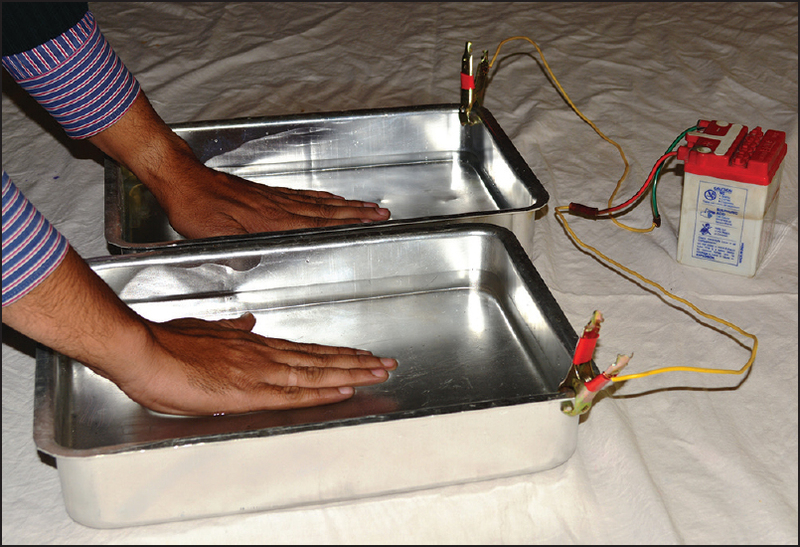 Tap water iontophoresis is reliable and effective method for treatment of palmar and plantar hyperhydrosis when practiced with appropriate technique and timing.One of the major setback for using iontophoresis is that the apparatus is expensive and is not readily available.A simple user-made Iontophoresis device have been described here, which could be easily constructed and used at home. Elastofibromas are rare benign, soft-tissue slow-growing tumors seen predominantly in elderly females. The most common location is the infrascapular region. 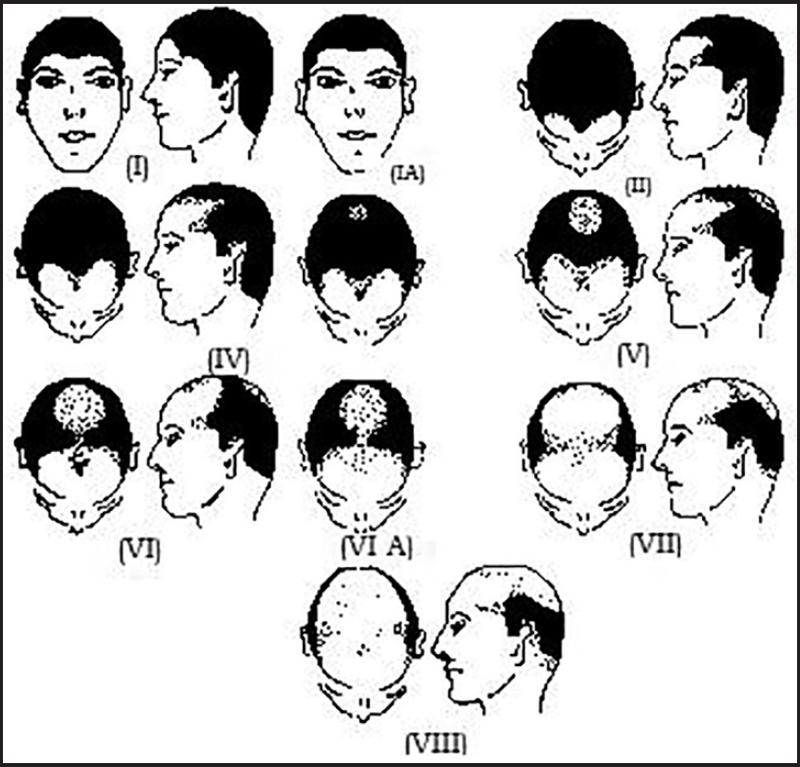 These benign tumors require resection only in symptomatic cases. 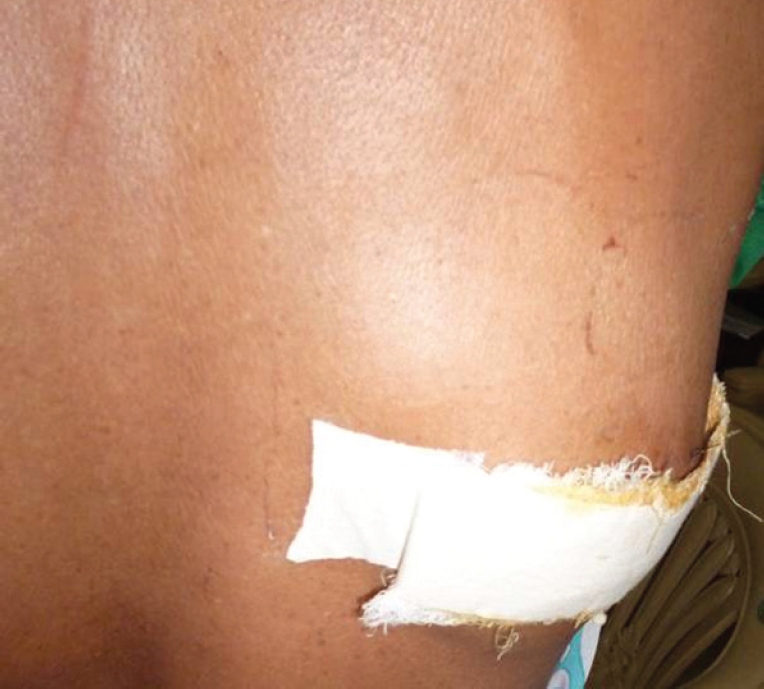 We present a case of elastofibroma in a 46-year-old female. She presented with gradually increasing soft-tissue swelling of 8 cm Χ 6 cm in the right inferior subscapular region for the last 2 years. 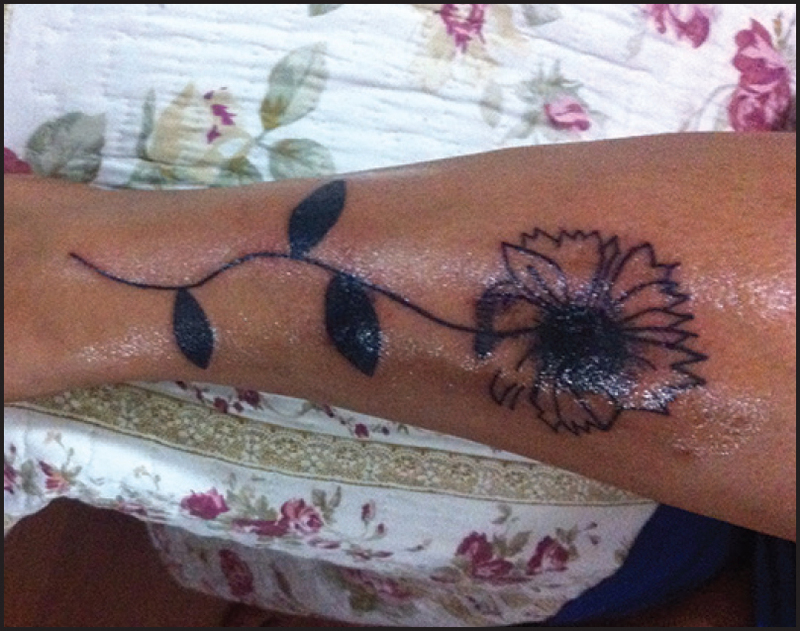 She underwent excisional biopsy and the histopathology was reported as elastofibroma. Microscopically, the mass showed numerous characteristic eosinophilic, beaded elastic fibers. These fibers were highlighted by the Verhoeff's elastic stain. We present this uncommon case to emphasize the important role of histopathology in diagnosis. A definitive diagnosis helps to avoid unnecessary wide and radical resection.